Arsenal Yards will transform the old Arsenal Mall into a retail, residential and office complex. It will include several restaurants and developers have requested additional liquor licenses from the Town of Watertown. Town Council President Mark Sideris told the Town Council about the request at Tuesday’s meeting. “I am bringing this up because I think that Arsenal Yards is going to transform the community,” Sideris said. “We have an unusual situation with Arsenal Yards. I liken it to the Assembly Row (in Somerville), where they began a rehab of a mall, and grew into something much larger. The Council cannot just create new liquor licenses because the number is limited by State Law based on population. Siders said the Town could seek additional licenses by filing a Home Rule Petition with the State Legislature. He said he has already inquired about doing so with State Rep. John Lawn. Councilor Tony Palomba noted that in recent years the Town added 15 new liquor licenses. He asked for the Town administration to provide information about the additional liquor licenses, which were approved by the state in March 2016, and how many remain unused. These licenses are targeted to certain areas to promote economic growth, some tied to certain geographic areas in Watertown. 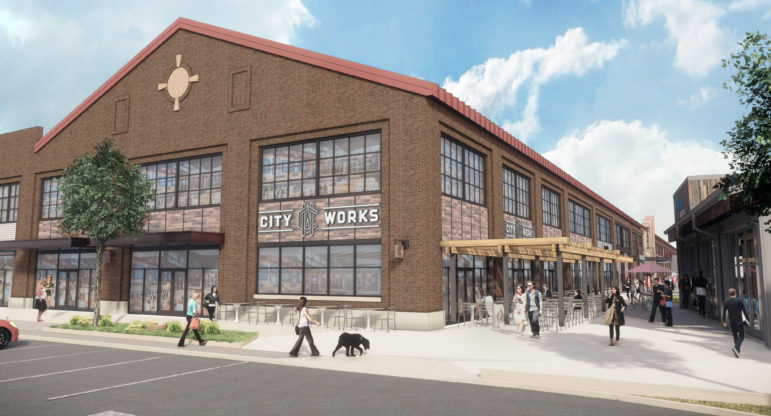 Arsenal Yards representatives also asked about the rules for a business that obtains a liquor license, but will not open for a few years while the new space is being built at the development. The Council voted to have the Rules & Ordinances subcommittee consider the request to add more liquor licenses, as well as how to treat a business which gets a license but cannot open for a few years. So I take it that Town Council President doesn’t think that Watertown has already been “transformed” enough? This comment should be a clear indication as to why all of this “transformation” is getting a bit out of control and there will be no limits, period! I stayed here after I married because this WAS A SMALL TOWN with many attributes and services. Now the town has spiraled out of control with many new housing units,. The population has steadily been increasing. Allowing all this building has ruined the small town effect which speaks greediness for more property taxes. and no benefit to its older and established residents. To the previous posters – we need more social and dining options in Watertown. You drive down any main thoroughfare in town after 8pm and it’s a ghost town. Where are all those new homebuyers who are purchasing the million + dollar properties only days after they hit the market? They aren’t spending their money in Watertown. They are at hip, relevant spots outside of town. Watertown needs places where those with disposable income can spend their money. Wine bars, higher end restaurants, cocktail lounges. Places people WILL go to. And places that can put Watertown on the map for non residents to come and experience and SPEND. You can count upscale dining options in Watertown on one hand. We need to keep money in Watertown rather than it being the norm to head to Cambridge, Somerville, Boston, even Waltham on a Friday or Saturday evening. Branch Line and La Bodega have been beast additions to the local scene but we need more options. If town government can actually figure out how to allocate the new influx of tax dollars from new housing and businesses, this could be fantastic for us residents. Better roads, schools, parks and recreation and police and fire. Watertown has been a pass through town for too long and we need to capitalize on the new development because it’s happening whether we like it or not. So why not have this benefit residents of Watertown? I agree to what you say to a point, Erin, but there are consequences to all of this “progress” and just what benefits will assist residents of what used to be a small city. When the Watertown Mall & Arsenal Mall were built, most of the arrests for shoplifting and other crimes were committed by out-of-towners. That is still true. As far as all the change that might benefit Watertown residents, not sure where. The roads in this town are horrendous. Prices rising will force many who grew up here to leave and don’t think that taxes will go down with all of the added revenue because they won’t. Time will tell, I hope it works, but for me, I’ve lived here for over 40 years and rarely stay in town on a Friday or Saturday night with Boston only 15 minutes away. Much more to see and do in the city. Cheers!